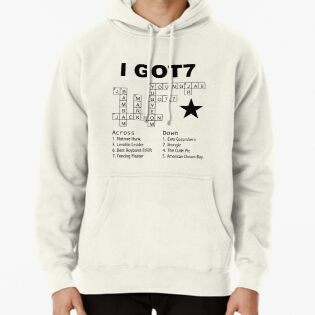 Lieben Sie Got7 und alle ihren Spaß Fakten? 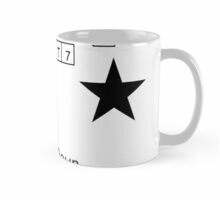 Zeigen Sie Ihre Unterstützung mit diesem kühlen Entwurf! 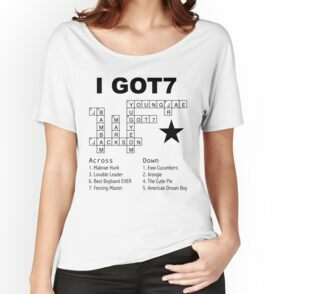 Do you love GOT7 and all their fun facts? 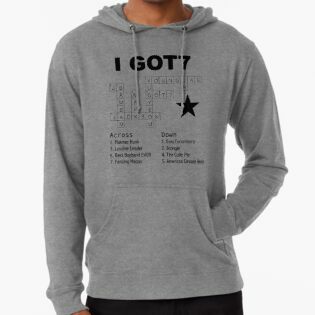 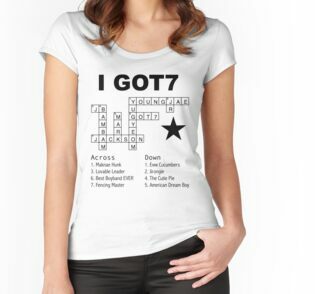 Show your support with this cool design! 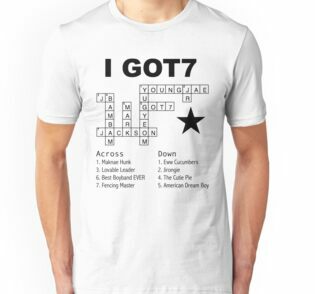 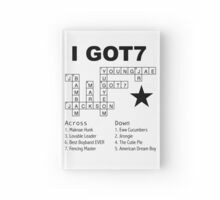 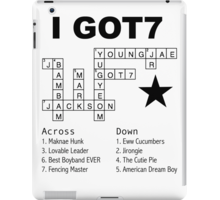 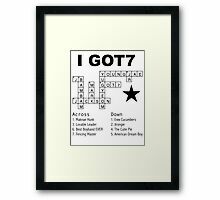 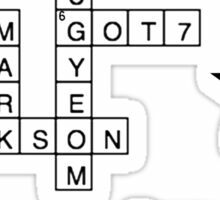 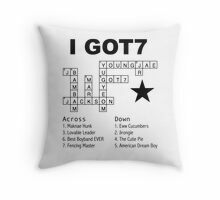 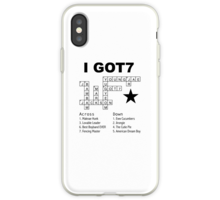 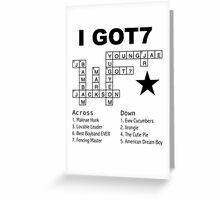 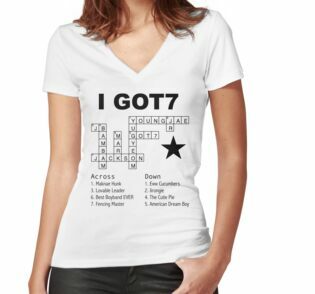 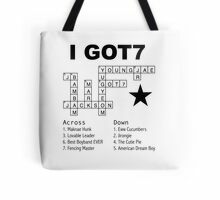 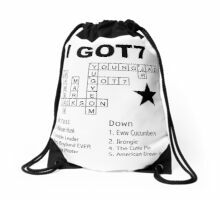 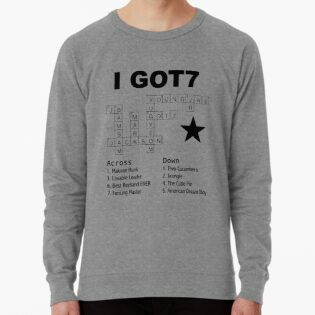 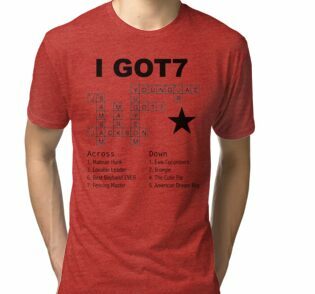 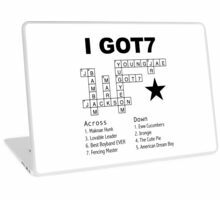 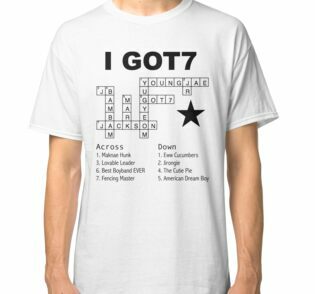 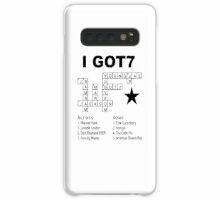 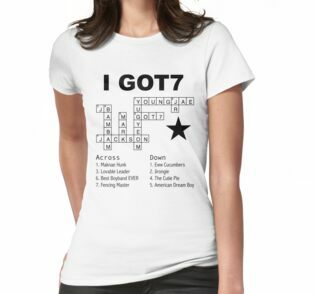 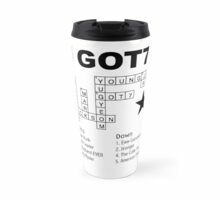 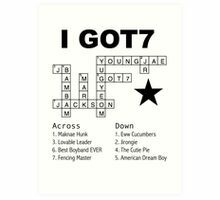 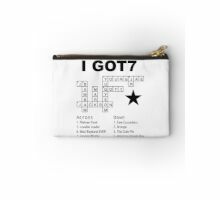 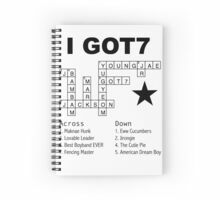 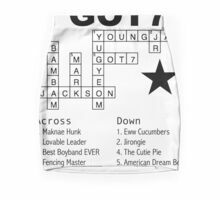 The two ones should be switched… Youngjae’s “eww cucumbers” should be under across… and the other number 1 “maknae hunk” for yugyeom should be under the down column.. but other than that its great.